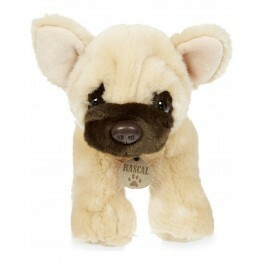 French Bulldog Rascal by Keel Toys U.K Keel Toys. The Home of Soft Toys. Established in 1947, Keel Toys prides itself on beautifully designed and manufactured toys. Rascal comes wearing a black collar with a name tag.